Full offset mulcher. Will operate behind the tractor, outside the tractors wheel tracks, and all points in between. function from 90 degrees vertical to 65 degrees below horizontal. Ideal machine for getting under trees, roadside verges and drains. Full hydraulic control of all motions and angles. 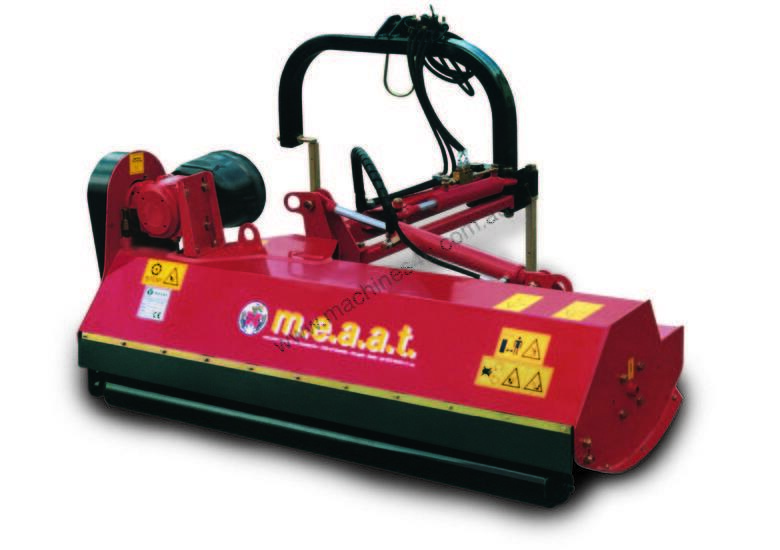 155cm cutting width and 50mm cutting capacity. Rear roller and hammer blades fitted.